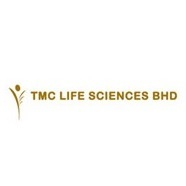 Number of Shares: 1736 M.
TMC Life Sciences Berhad, through its subsidiaries, provides a range of fertility treatment services in Malaysia. It is engaged in the development, marketing, management of healthcare programs; provision of storage of cord blood and adult stem cells, stem cell therapy, and application services. It operates women's clinic and medical center; and provides gynecological and fertility problem management, as well as consultancy, and research and development services. The company operates TMC fertility centers. The company was founded in 1994 and is headquartered in Petaling Jaya, Malaysia.